So close yet so far away, it’s amazing how quickly your world can change in just a few hundred yards. We are on a budget and looking for a one of a kind bass experience and unfortunately, we aren’t landing on a plane. We are driving unleaded on four wheels straight into the heart of Gulf Cartel territory. Q: What makes it more special than trips back at the states? A: Everything about this trip was special, but the old school fishing culture and being the first to do it on a kayak definitely stood out. This is the wild, wild south, and the majority of these Mexican lakes have absolutely no map support. Everything has to be done the old fashion way and who doesn’t enjoy a good through back. Guide John Adami would eventually help Russ Whitesides and I cut the learning curve short. Weeks, before we have a conversation with John Adami to later find out this, would be the first trip of its kind. 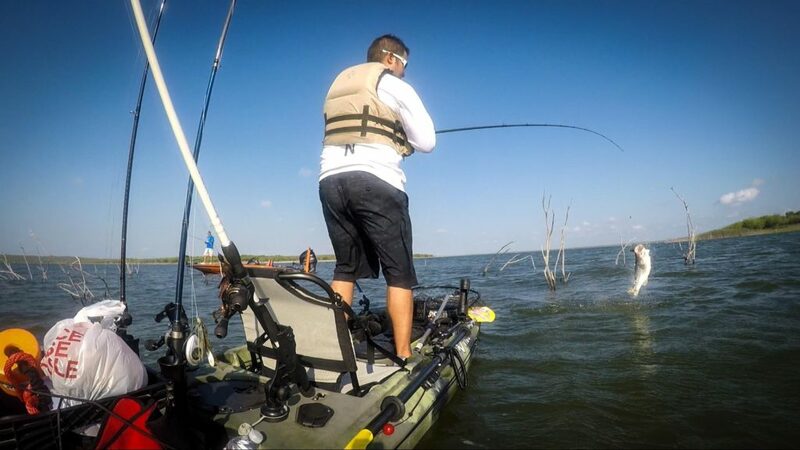 It’s interesting because we have to remember that the drug war has been going on for the last ten plus years, and kayak fishing has aggressively emerged since then. Q: What I saw from your videos is that the mystery of Sugar Lake is something that excited you, what was it like kayak fishing where no one has before? A: A surreal moment for sure. The reservoir dam was stunning, and what we learned was quite amazing. We were told by two individuals and one publication from years ago about its forgotten history. Two German engineers said to be working directly under Adolf Hitler had been ordered to construct the dam we see today. When looking at the dam from afar, I remember asking myself why, and that’s the infamous answer we would all like to know. Nobody knows why, but we do know Adolf Hitler doesn’t do anything without reason. Locals believe it was a calculated risk had Mexico decided to fight with the axis. A perfect water supply for the perfect invasion, it just humbled me to think how close German influences were at the hype of the war. It’s hard to put into words, but being the first kayak anglers to fish and experience this was a blessing. Q: What did you learn fishing waters that were different then the states? A: You really feel the difference in pressure. 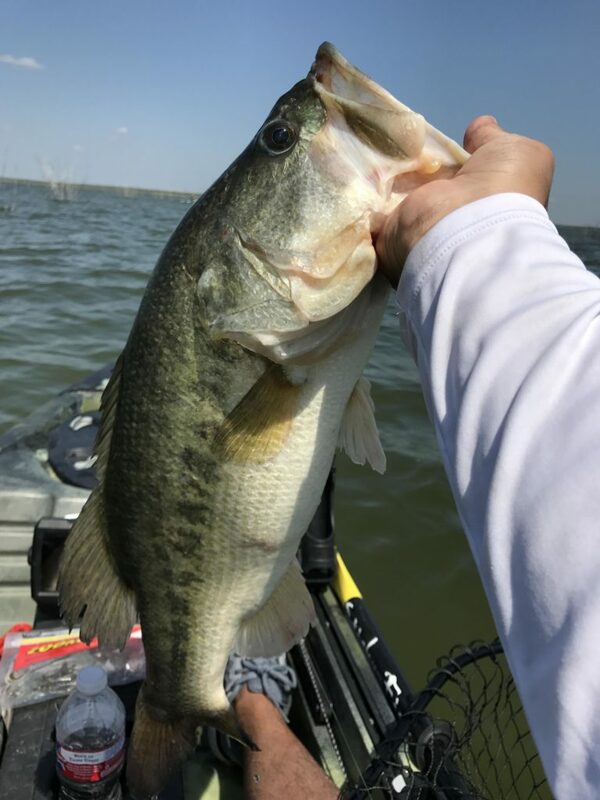 When you’re catching 70 bass a day it begins to feel more like self-defense fishing. We were told that every bass 5-6 lbs is going to feel like the 10 lb American bass. 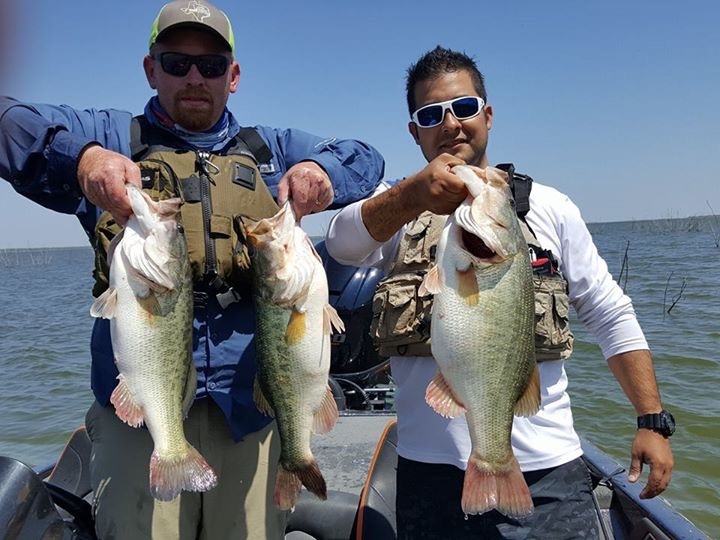 If we caught an 8-10 lb bass, it would feel like a freight train, and we were advised to hold on. The hotter it got, the more aggressive the bass became, dubbing it JurBassic Park.